Sometimes, I eat this. It’s kind of a cure-all for what ails ya. 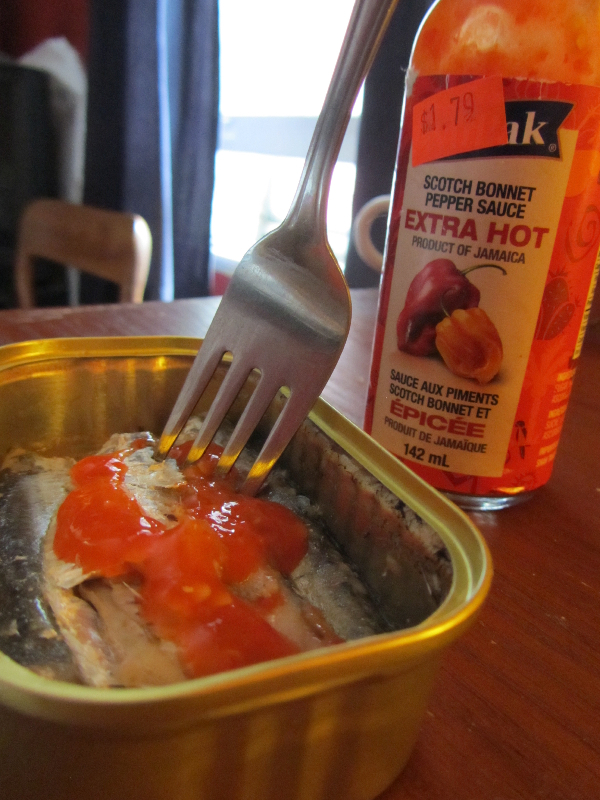 Firstly, no effort, SECONDLY, it’s protein and chile, and it comes in a can (which has it’s own kind of gauche appeal, I think). Frankly, I ate this the morning after a booze-fuelled 9-tier cake construction and I think it was justly deserved. You should try it! Except, possibly with sriracha instead, because that stuff is better, better than most things, I really do think they crumble up spice-fairies inside of that stuff, because otherwise I can’t explain it’s magical ability to make things taste like a pavlovian reaction of LURBE. Lurve. Love. You know what I mean. 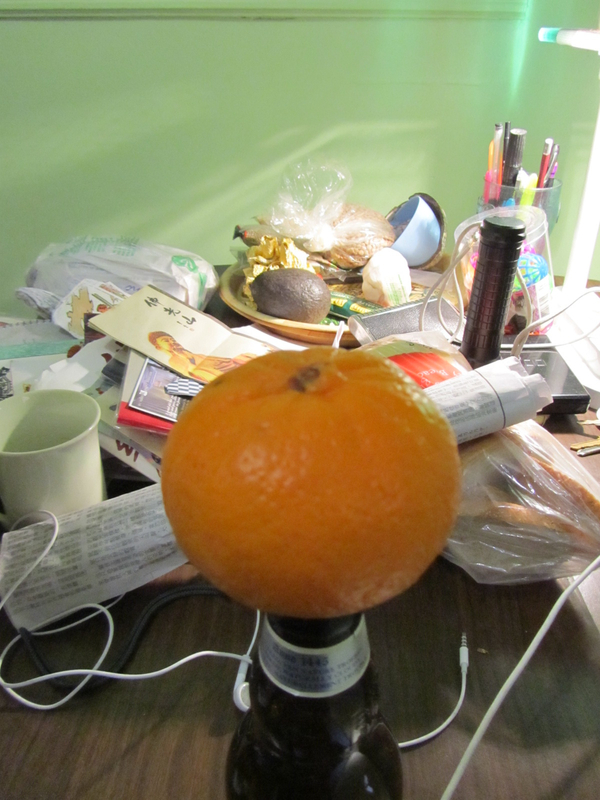 THIS, is, an orange that survived. And this is just, well, a book of Buddha. 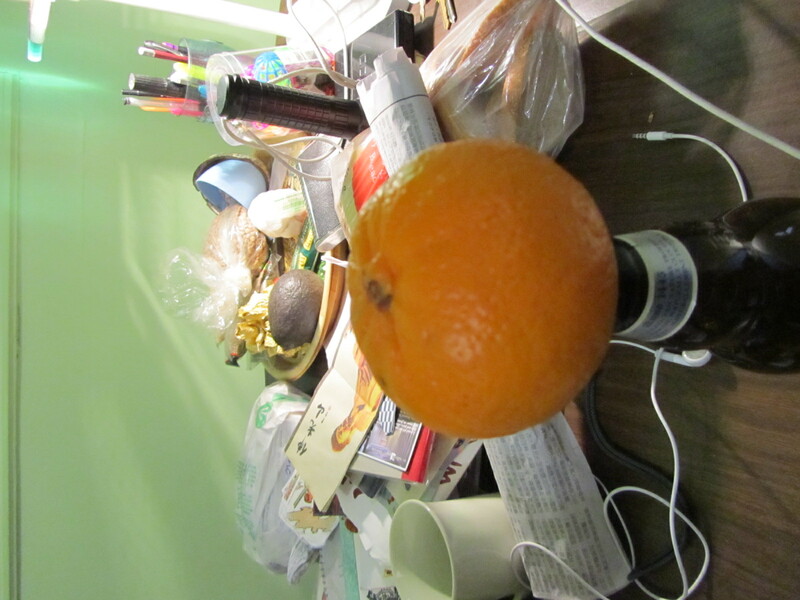 Inside of an orange. I mean an egg. I mean an orangutan/g).. I DO!!! Mean that, I mean. Right! well, it seemed poetic and pretty much yes it is. 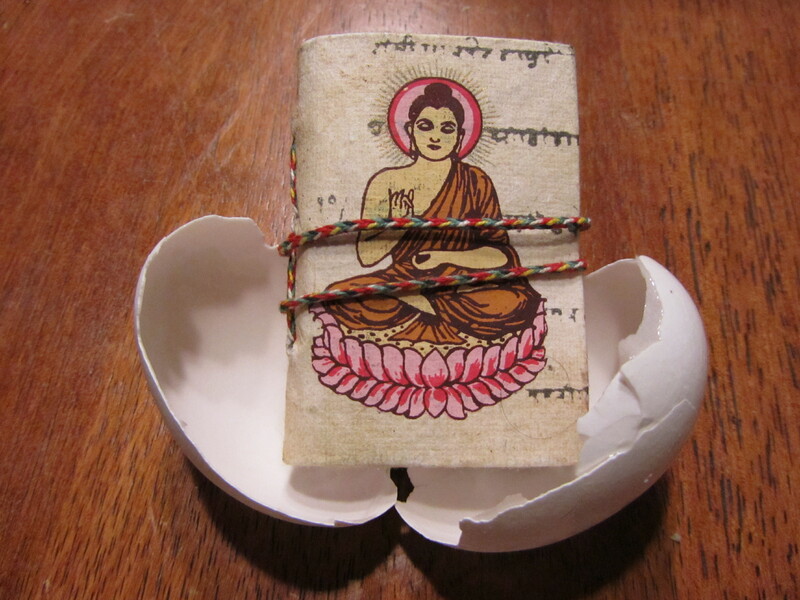 come to ye own conclusions my frenz, buddhas from eggs and which came first and all and all and all….. So, do you know how to make a decent pumpkin pie like that then? Cos I tried it with Amelia and it was somewhat of a lot of a failure. like that = from scratch, like from a pumpkin? yeah, it’s pretty easy, you just have to make sure you buy your pumpkin from the *inside* of the grocery store (not the outside with the strawbales! ), that it says “sugar” somewhere in the name, and that it’s probably about the size of a football. Then cut into big pieces, rub with oil and salt and roast for … an hour? then puree, reduce the puree in a saucepan if it’s very runny or not tasty enough, then proceed with pumpkin pie recipe as usual! we should have a pie party sometime! january seems like a good month for that.